South Pole helps clients to find long-term value through sustainability related activities, drawing on years of experience and global expertise in sustainability. Square Mile Tours show off the best parts of the beautiful city of Adelaide and has always been environmentally concious, right from the concept development stage. A city school committed to caring for our common home through responsible use of the earth’s resources. St John’s Youth Services is committed to supporting young South Australians and believes that sustainability provides the best possible foundation for young people to build their futures. ​Statewide Super is a profit-for-member industry super fund and an organisation that takes social and community responsibility seriously. A folding, electric bike company providing urban commuters with a low-emission way to get around town. ​Strategy. Policy. Research.’s knowledge and experience assists cities and other organisations to achieve their carbon goals. 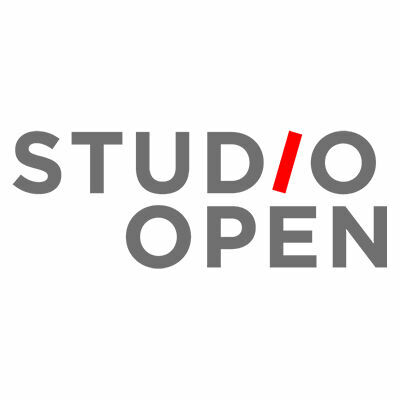 Studio Open is a micro-business with a small footprint. With GreenPower® accreditation, renewable energy and environmentally conscious practices, it sets an example for small businesses. Intelligent and energy efficient products utilising the power of the sun. Suntrix helps households and businesses across Adelaide reduce carbon emissions with quality, high performance solar energy systems. ​Sustainability House (SuHo) ​is passionate about sustainability, with expertise in environmentally sustainable design services that helps clients create Australia’s most resourcefully clever buildings. Sustainable Business Consultants are leading consultants in sustainable business and carbon management. Tandem Energy creates positive change within businesses and communities by providing advice and implementing practical, cost-effective sustainable business practices. ​Tempus Energy is focused on innovation in the energy system and is committed to helping resolve climate change. The Culshaw Group of Companies incorporates Majestic Hotels, a South Australian owned and operated portfolio of accommodation hotels across the state. The Solar Project’s core goal is to reduce carbon emissions in South Australia and beyond. The William Bligh is a small venue in the East End of the City of Adelaide and have sought to follow a low carbon ethos from the outset. Thomson Rossi is committed to the principle of Ecologically Sustainable Development (ESD) and actively pursues opportunities to deliver buildings at the cutting edge of sustainable design. Tim Jarvis is an environmental scientist, adventurer, author and public speaker who is well-known for his numerous Antarctic expeditions and for his work in bringing the world’s attention to climate change. We are passionate and committed to taking care of the planet and our place in it. Our mission is to provide sustainable, ethical and affordable timelapse services around Australia. Trees For Life offers a voluntary carbon program that provides individuals and businesses with the opportunity to offset emissions through native trees planted in South Australia. Providers of yourtrellis.com a software solution which empowers finance, procurement and sustainability business areas through the automatic processing and interpretation of transaction data. As a Founding Partner, The University of Adelaide are leading the way as the first major institution to commit to Carbon Neutral Adelaide's partnership program. The Research Node for Low Carbon Living is committed to carbon emission reduction and encourages local action in a number of ways.